Tech Canoe: On the horizon? Nexus 5 specs, rumors, features, release date, and more! On the horizon? Nexus 5 specs, rumors, features, release date, and more! 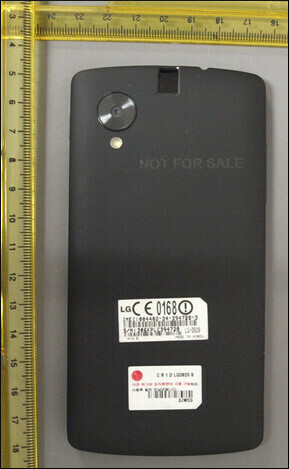 Could this be the Nexus 5? Google is about to make a splash on the smartphone market. First off, Android 4.4 KitKat is going to be out by the end of this year. Also scheduled for 2013: the (probably made by LG) Google Nexus 5 running that Android 4.4 KitKat OS right out of the box. First off, if you haven't heard of the Google Nexus series, you can't call yourself an Android fan. So far there have been three lines of Nexus products: the 4.7 inch Nexus 4, the 7 inch Nexus 7 (now in its second generation), and the 10.1 inch Nexus 10 tablet. The Nexus series is pretty much always the first to showcase the newest versions of Android, and Google is known for keeping their prices low and their specs high. The Nexus 5 will be the successor to the Nexus 4 smartphone. The release date for the Nexus 5 (and KitKat) is almost certainly sometime in October or November of 2013. The Google Nexus 10 2nd Generation is also expected to be revealed in Q4 this year. The Nexus 5 will, of course, feature the brand new Android 4.4 KitKat (formerly named Key Lime Pie). It is also expected to come in 16GB, 32GB, and 64GB models. Unfortunately, SD card support is not likely. It is also almost certain that Google will go with a full 1080p resolution on a 5.2 inch display. The Nexus 4 has an 8 megapixel camera, but the Nexus 5 should feature one between 13 and 16 megapixels to go along with a new-and-improved KitKat camera app. The Nexus 5 is also expected to have a quad-core Qualcomm Snapdragon 800 chip, which will most likely run at 2.3Ghz. This would, on paper, make the 5 the most powerful smartphone on the market, barring a Galaxy S5 release. However, "off paper" the Nexus 5 should still have trouble topping Apple's new iPhone 5s. The Nexus 5 will also support 4G LTE and will house a bigger battery. The Nexus 4 retails for $299, which is super cheap for an unlocked smartphone of its caliber. If Google follows its trend of nice prices, the Nexus 5 will retail for $299-$399, not bad. For the supposed leaked video of the Nexus 5, click here.